Oils for hair growth are used in cultures are around the world. Two studies that were carried out in Scotland  and South Korea  tested the effectiveness of some of these folk remedies. Could something as simple as a natural oil really help with baldness and hair loss? A group of 86 subjects were given a blend of essential oils in a mix of carrier oils to apply to the scalp once a day. After 6 months 44% of the test subjects had clear hair regrowth. Next we will describe how to re-create the formulas used in these tests. Essential oils are powerful and some can cause skin irritation if applied undiluted. Before use most essential oils need to be added to a carrier oil. Carrier oils are usually oils rich in Vitamin E and Omega fatty acids. These nutrients condition and repair the hair shaft and cleanse the scalp and, hair follicles. 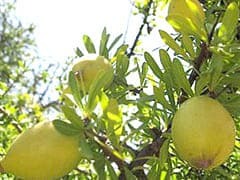 The most popular choices for carriers oils are Jojoba Oil  , Argan Oil, Evening Primrose, Grape-seed Oil and Coconut Oil. Jojoba oil should always be included in a carrier oil blend. It is similar to your scalp’s own natural oily secretions which gives it scalp cleaning properties. Pure coconut oil is also an essential ingredient. It is solid at room temperatures and needs to be blended with Argan Oil so that it will stay liquid. Test were carried out using Pumpkin seed oil on 76 male patients mild to moderate androgenetic alopecia (AGA). The results showed that the group applying Pumpkin Seed Oil had more hair after treatment than the placebo group. The active ingredient in thyme oil is thymol. Lavender is an ancient anti-inflammatory and anti-bacterial oil for reviving damaged hair. Lavendat is also used for reducing stress an important factor in many hair loss patterns. Mix the ingredients and store in a suitable container – such as a bottle with a pump. Note: You can buy these oil pre-blended in our Hair Magick Serum. Simply massage the scalp with the oil serum. Then work the oil down into the hair from the root to the tip. Wrap the hair in hot towels and keep as hot as possible for 20 to 30 minutes. Keeping the hair hot will help the oils to penetrate and work on your hair. Wearing a plastic shower will help to prevent oils from being absorbed into the towels and keep them on your hair. Wash out excess oil with a light shampoo. How often should the hair be treated? During research studies oil serums were applied daily. This may not be practical in everyday life. But try to do the treatment 3 times a week. 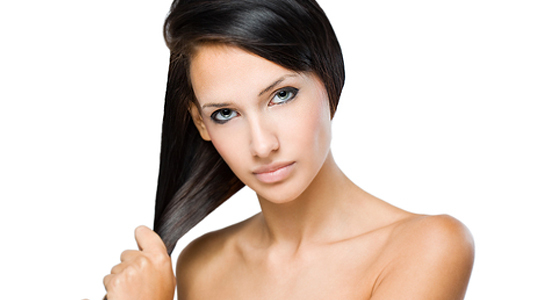 Any hair treatment regimen will need to be followed for at least 12 to 24 weeks. Finally, many herbs and vitamins are known to support and even boost hair growth. Here is our list of the most popular choices. 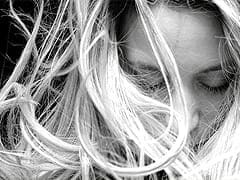 Even a common condition like dandruff can be a cause of hair loss so be sure to treat any unusual problems of the scalp. A very effective hair tonic can be made from Juniper. Use a mixture of 10 drops juniper oil to 1 ounce jojoba oil and apply to scalp to promote hair growth and to eradicate dandruff. Allow to remain on scalp for 15 minutes to half an hour, then shampoo as usual. Mix 2 tablespoons of amla (Indian gooseberry), reetha (from the soapnut tree), and shikakai, which comes from a shrub native to India. Add egg and form a paste. Apply on scalp and massage throughout hair. Let sit for 25 to 30 minutes, then rinse and cleanse with a mild shampoo. Try this 3 times per week for one month to help hair regrow naturally. has been used to treat hair loss for decades. It is the primary active ingredient found in the vast majority of natural hair loss remedies and may help hair regrow naturally. This may be because Saw Palmetto helps reduce the DHT hormone levels in the body that can cause the hair loss. One of the most common herbs used in traditional folk medicine, is said to help regrow hair. This popular herb is available in its natural form at many health food stores for hair growth. This Chinese herbal medicine is said to rejuvenate the scalp, increase blood flow, and help regrow hair. Also known as He shou wu (Chinese for “black-haired Mr. He”), this herb has been consumed as tea or in herbal medications to help increase hair growth and reduce hair loss. Essential for hair growth, but too much vitamin A can actually cause hair loss, so be sure to take no more than 100,000 IU each day. And try natural food sources such as mango, orange, carrot, sweet potato, and squash. boosts the production of hemoglobin, which helps the scalp receive enough oxygen to stay healthy and promote hair growth. Be sure to consume potatoes, bananas, garbanzo beans/chickpeas, chicken breast, oatmeal, pork loin, and roast beef. Found in collard greens, lentils, garbanzo beans/chickpeas, papaya, peas, and asparagus, folic acid contributes to natural hair regrowth. This helps blood circulate to the scalp and improve hair growth, can be found in most cereals, almonds, safflower oil, corn oil, and soybean oil. 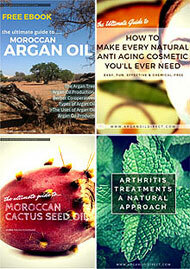 Argan Oil is super-rich in vitamin E and can also be taken in Culinary Oil form. Required for the healthy development of collagen, which is necessary for growing strong hair. Enjoy kiwi fruit, guava, red peppers, and oranges. Daily exercise improves circulation throughout your body, including your scalp, which can result in faster hair growth. Be sure to get your heart pumping at least 3 to 4 times each week. You can also buy directly from this web pages below using the add to cart buttons. 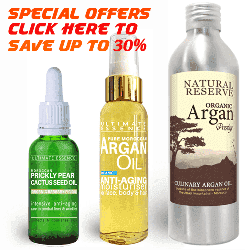 If you are buying pure Argan Oil for hair treatments we recommend to choose our “double filtered” Argan Oil which has no smell..
All prices include Free Delivery Worldwide.